Which "Bachelor" Ladies Might Do "Bachelor in Paradise"? A cold front of sorts is coming to Mexico this summer. Bachelor in Paradise is set to return for its fifth season on ABC this summer, and while Becca Kufrin's season of The Bachelorette has yet to premiere, producers are already looking ahead to their annual trip to Mexico. But fans can expect to see a few changes after the successful run of The Bachelor Winter Games this February, according to Robert Mills, the senior vice president of alternative programming at ABC. "There were a lot of learnings from Winter Games, where it wasn't a show where you were bringing in people every week," he said. "There will certainly be the hallmarks of Bachelor in Paradise, but I think we will definitely take into account the stuff from Winter Games, where it definitely seemed to form some really strong couples and at the end of the day that's the goal." At the end of the two-week special event, Winter Games had produced four solid couples—including one surprise engagement—so the format served as a successful launch-pad. (Though one couple has since split.) But another key factor in its success was the introduction of contestants from the international versions of the franchise, including Canada, Australia, New Zealand and Japan. International relations went so well in Winter that the ABC franchise will be going international with BIP as well. "I definitely think you'll see some international faces, but not sure how many or where they are going to come from," Mills said. But don't expect to see too many new foreign faces, as the executive added "we'd want people that you're familiar with from Winter Games unless there are people that are absolutely fantastic." 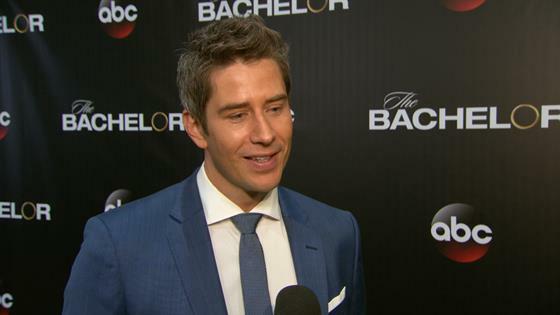 A major reason for the lack of poaching from the international versions has to do with the quality of women that were featured on Arie Luyendyk Jr. .'s season and the the upcoming crop of suitors Bachelor Nation will be meeting when Becca's season kicks off in May. "I think we're really lucky because we're coming off such a strong season, both seeing the guys who are going to be on Becca's season, too, they're absolutely fantastic," Mills said. "I think you're going to have great men and women from these previous seasons, as well as some people from the past. Sometimes it takes some distance for people we've always wanted to do it to be able to do it. I'm excited, I think this is going to be a great cast." Mills' dream blast from the past BIP get, after landing two of his previous ones—rivals Josh Murray and Nick Viallin season three? Robert Martinez, Ali Fedotowsky's former fiancee from season six of The Bachelorette (who was rumored to be in the mix along with Arie for season 22). "I think he's absolutely fantastic, a super nice guy and a stunning looking human being as well. He would be very popular there!" Speaking of popular, season four saw the debut of Wells Adams, a fan-favorite from JoJo Fletcher's season of The Bachelorette and the third season of BIP, serve as the bartender/voice of reason, and Mills hinted at a possible newcomer taking over, saying, "I think you're going to see some surprised behind the bar, let's just say that." Anyone else ready for summer? The Bachelorette will premiere in May on ABC, while Bachelor in Paradise will return this summer.